Choose the best Passover catering in Hollywood FL for perfect holiday meals! You will be delighted by our unique specialties, authentic kosher food in South Florida and our professionalism will certainly make you our customer for life. We will cater for any of the Jewish holidays, kosher food in Hollywood Florida (all glatt kosher food), or regular dinners catered to meet all kinds of consumers’ tastes. Trust us to offer you healthy food and tasty dishes, distinguished homemade style recipes that no other kosher catering in Hollywood FL can offer. Catering Passover seders while in South Florida is a comfortable way take a break from cooking. To order call Kosher Cuisine today! Kosher Cuisine will surprise you each time with unique courses, delivered straight to your door or hotel. Make an appointment now for Passover catering Hollywood FL and choose your and your guests’ favorite dishes from our varied menu. Call Kosher Cuisine and you’ll get culinary excellence at its finest through our Passover catering Hollywood FL. Have you ever wondered: where can I get the perfect Passover catering in Hollywood FL? Passover holidays are not complete without tasty food. Our food will crown your seder and help in celebrating special holidays with your family and friends. Organize an unforgettable Passover in Hollywood, FL with Kosher Cuisine! We, at Kosher Cuisine, are sure to fully satisfy you with our homemade dishes and quality services. Our target is to offer you highest quality of kosher catering in Hollywood FL, with our team of professionals. Our presence in the kosher food Hollywood Florida domain in remarkable through delicious homemade style food that we cater in South Florida, professional service, creativity, flexibility and high standard presentation. Kosher Cuisine is the perfect partner to cater kosher food in South Florida, anywhere from Hollywood Florida to your special events in Boca Raton. 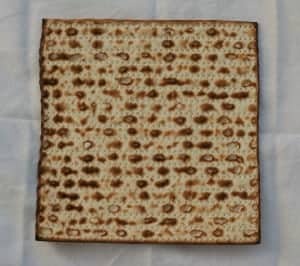 Through Passover catering Hollywood FL we provide unique products for your Passover holidays to be unique. You can always count on our food to be 100% authentic, not only in the way it looks but also in taste. Satisfying our costumers is of paramount importance. Your successful event is our success! Delight your guests with our unique dishes, and unforgettable taste of delicious homemade food and remarkable kosher cakes and cookies in Florida! Count on Kosher Cuisine for the best kosher catering in South Florida! Kosher Cuisine is specialized in Moroccan food but we have also included in our extensive menu several dishes for all tastes. We can satisfy any costumer with our diversified menu by offering various meat dishes, chicken dishes, fish dishes, side dishes, salads, classic desserts and complete meals for any event!